Death’s Shadow Jund’s metagame shares seem to have decreased a little since last week, indicating that Modern has the tools it needs to combat the new boogeyman. This reassuring development has been met with universal praise from the pro community and relief from the playerbase. The deck’s presence in Modern still changes its landscape, though, and I tackled its potential implications in a piece last week. Today, we’ll look at some of Modern’s existing Death’s Shadow decks and consider some other paths the strategy can take to adjust to the format’s ever-shifting metagame. My efforts with Sultai Shadow last week yielded a deck with a gameplan similar to that of Death’s Shadow Jund, but less efficient and reliable when it came to execution. Testing has shown me that when it comes to clock plus disruption, the Jund shard happens to have all the tools it needs without requiring a splash. The main reasons to splash, then, would be to gain edges in the mirror, or in especially bad matchups. Here’s my current Death’s Shadow Jund list. Those closely following the deck’s developments will notice it’s nearly identical to Gerry Thompson’s most recent list, the difference being two Surgical Extractions over a Nihil Spellbomb and a Kozilek’s Return in the side. I came to the list on my own, but had a pair of Liliana, the Last Hope in the main; after reading Gerry’s article and trying Veil in her place, I agree with his assessment that she’s dead in fewer matchups and therefore a stronger consideration for the mainboard. When I wrote about Sultai Shadow last week, I rattled off its ability to easily disrupt combo decks via Stubborn Denial as a primary strength. Surgical Extraction serves a similar purpose in Death’s Shadow Jund. Nihil Spellbomb has more raw power in the mirror, but Extraction has more utility elsewhere, and shores up the combo matchups I was worried about without blue. As for Kozilek’s Return, I found the Affinity matchup to be fine with this build, so Return wasn’t a card I ever considered. Between our mainboard discard spells and sideboard Fulminator Mages, it’s common for unfair opponents to have a key piece of their combination sitting in the graveyard at some point, be it Past in Flames, Ad Nauseam, Urza’s Mine, Valakut, the Molten Pinnacle, etc. Extraction can then disrupt these decks magnificently by removing all copies of that spell from the game without costing us mana, meaning we can continue to develop our board. The life loss, of course, doubles as an enabler for Death’s Shadow. It also beats graveyard-reliant combos without requiring any setup, including Finks-Seer-Melira and Goryo’s-Griselbrand. A final point I want to make about the mainboard here is its inclusion of two Temur Battle Rage. Jadine Klomparens wrote a few days ago that Battle Rage is a relic of the Probe-fueled Death’s Shadow Aggro decks, and will soon be phased out by better players. I don’t quite agree with this sentiment. As noted by Emma Handy, Rage gives the deck a backdoor combo with which to beat opponents out of the blue (more on the ensuing “Splinter Twin effect” in last week’s piece). Emma perceived that as players learned to play against Death’s Shadow Jund, they would respect the combo less, since a single Temur Battle Rage isn’t very reliable on its own. My solution last week was to abandon the instant altogether, but another solution is to simply play multiple copies, essentially forcing opponents to respect it. Besides, Battle Rage has uses other than simply threatening a lot of damage: it’s great against chump blockers, for instance, and it can help get over larger defenders. Rage helps us race in scenarios where hitting for six every turn won’t cut it alone. It’s also a hilarious answer to Deflecting Palm—we can simply respond with Rage, take first strike damage from our own Shadow, grow the Shadow as a result, and then hit our smug Burn opponent for surely-lethal! To Jadine’s credit, Rage is still pretty miserable against removal-heavy decks without many blockers (such as Grixis and other reactive blue shells) and the mirror—it remains one of the least reliable plans in the deck, even in multiples. Other strains of Death’s Shadow, like Grixis, omit the instant from their lists entirely. Despite my inevitable “coming around” to Death’s Shadow Jund, I remain especially interested in blue tempo decks that make use of the Avatar. Ryan Overturf’s 4th place Grixis Delver list from the Indianapolis Classic two weeks ago seems like a fine place to start. We’ll compare this build of Grixis Delver to Death’s Shadow Jund by looking at its relative strengths and weaknesses. Grindiness. Death’s Shadow Delver is far likelier to win a war of attrition than Death’s Shadow Jund. The full set of Snapcaster Mage helps, as do the Visions to smooth out topdecks and the four discard spells versus Jund’s eight. But Tasigur’s ability also deserves some credit. Diverse threats. This Delver build is harder to hate out than Death’s Shadow Jund. A Rest in Peace isn’t necessarily game over; Tasigur and Angler can still be cast through Rest in Peace, although it’s a stretch, and resolved copies could care less about the enchantment. Snapcaster Mage remains an Ambush Viper, too, which isn’t very impressive but trumps Goyf’s pitiful status as 0/1. Chalice of the Void and Spell Snare also affect this deck’s threats less than they do Jund’s, and the delve creatures can’t be killed by Fatal Push or Abrupt Decay. Stack Interaction. Perhaps the most obvious draw to blue is its ability to interact with spells. Access to permission gives the color more built-in protection against linear combo strategies and topdecks. Lightning Bolt. How does Bolt compare to Tarfire? Well, let’s just say we’re not only going to play three. Bolt-Snap-Bolt is also still great in Modern and a useful game-one package against Death’s Shadow Jund, despite Bolt’s obvious weaknesses in that matchup. Proactivity. I wrote last week about how incredibly proactive Death’s Shadow Jund is. But despite the size of its turn-two beaters, there’s a special kind of advantage to being able to start the game with a threat in play. Delver of Secrets gives Grixis an opportunity to immediately put opponents on the back foot, meaning they’ll want to remove the creature if possible rather than execute the rest of their gameplan, be that casting a discard spell, a cantrip, or a mana dork. Going creature into creature-creature against Death’s Shadow Jund is one of the most reliable ways to beat the deck, especially when those creatures are chased with removal. Jund will want to put Goyf or Shadow on defense as fast as possible, and when it’s removing creatures rather than casting discard spells, the deck’s threats become easy targets for Fatal Push and Terminate. The deck asking the questions first is the one that stands to gain the most from in-game interactions. Less flexibility. Jund’s colors let the shard to do truly anything, including destroy “nonland permanents” with Maelstrom Pulse and enjoy access to the most coveted artifact hate in Modern, Ancient Grudge. 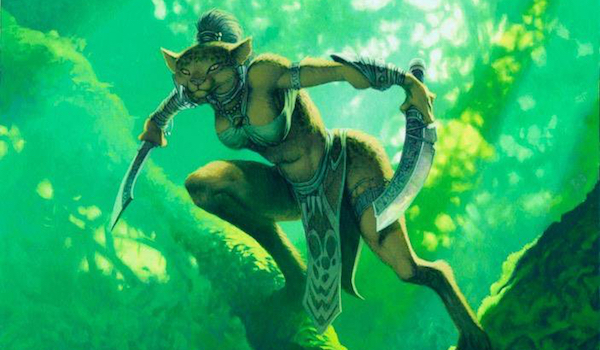 This flexibility allows pilots to tweak their Jund decks to fight whatever they want to beat. There are some things Grixis just can’t do, like remove a Worship. No backdoor combo. One could argue that Grixis can play Temur Battle Rage, but realistically, it can’t. Tasigur and Angler make terrible targets compared to Tarmogoyf. Grixis also needs a full four slots for Thought Scour, without which its delve creatures wouldn’t be playable, so it can’t make room for Battle Rage without cutting precious disruption. High-maintenance threats. Delver of Secrets imposes significant deckbuilding restrictions on those who choose to play it. Pairing it with Death’s Shadow at all is a little challenging, since Shadow all but requires pilots to pack Thoughtseize (a disrupt-then-commit cards at odds with Delver’s status as an ideal turn-one play) and Street Wraith (a creature that doesn’t flip Delver). But it’s Tasigur and Angler who require the most setup to function. Chez Jund, Mishra’s Bauble, Street Wraith, and Tarfire all grow Tarmogoyf while impacting the board or the game state, meaning Goyf always represents massive bulk for 1G. Delve threats, on the other hand, have a fluctuating mana cost, and one that forces pilots to pack Thought Scour. Scour is a one-mana cantrip that replaces itself, but doesn’t impact the board on its own, making the delve threats both less efficient and more conditional than ol’ faithful. It also doesn’t help that Tasigur and Angler are always smaller than Tarmogoyf in the pseudo-mirror. Card selection. Snapcaster plus Scour plus Visions is a lot of quality card selection. But these slower, sum-of-their-parts engines aren’t necessarily much better than Traverse the Ulvenwald. With the benefits of leading on a creature identified, I wondered if there wasn’t a way to include an aggressive one-drop in Death’s Shadow Jund. Doing so would greatly accelerate our clock against faster linear decks, such that we no longer needed to rely on Temur Battle Rage there, and theoretically grant us more resilience to removal. More than that, the ability to lead on a one-drop makes our disruption significantly better. Bauble and Wraith are too integral to the structure of Death’s Shadow Jund to work with Delver of Secrets. But we’ve seen Jund lists easily splash white in the past for Ranger of Eos, Lingering Souls, Kataki, War’s Wage, and others. So I decided to try the other three-power, one-mana creature in Modern: Wild Nacatl. The following sections discuss Wild Nacatl‘s pros and cons against different Modern strategies. We’ll only consider strategies that can prove problematic for Death’s Shadow Jund (removal-stocked attrition shells, linear combo strategies, and the mirror) and leave out the easier matchups, which I think will usually be won with or without Nacatl. Vs. removal-heavy decks: provides four additional threats. Helps us apply pressure throughout the game, and draws high-value removal spells like Path to Exile away from our heavy-duty threats. An improvement over Battle Rage, Decay, and Rampager. Vs. linear combo decks: provides early pressure. Shaves a turn or two off the clock so opponents are forced to combo early. An improvement over Rampager and Decay, and neutral compared with Battle Rage. Vs. the mirror: provides early pressure and lets us go wide. Landing plenty of creatures yields powerful alpha-strikes in the mirror and complicates combat for opponents, as we can threaten to chump when we need to and attack for lethal. An improvement over Rampager and Battle Rage, and neutral compared with Abrupt Decay. Wild Nacatl is one creature I pegged as potentially getting a boost from the rise of Death’s Shadow Jund, since Lightning Bolt is terrible against that deck but great against Wild Nacatl. Notably, Jund itself can’t remove Nacatl easily, since Tarfire doesn’t kill it. When it dies right away in the mirror, then, Nacatl at least absorbs a high-value removal spell like Fatal Push (at parity), or a Liliana of the Veil minus-two (which incidentally gives us a window to get value from our own Tarfire). Vs. removal-heavy decks: gives Bolt-toting opponents a great target in game one. Nacatl still takes pressure off our planeswalkers in that case, and lets us be a little more aggressive with our life total, since opposing Bolts will be headed elsewhere. Vs. linear combo decks: can be a turn slower than Battle Rage. And that’s if Nacatl resolves on turn one. Drawing Nacatl around turn four or five can prove nightmarish, as Battle Rage would likely just win the game around then. Vs. the mirror: makes us easier to solve. Wiser opponents are likely to quickly figure out what we cut from the deck, and to therefore not play around Battle Rage or Rampager. What that means for the Death’s Shadow deck is that it’s likely to undergo plenty of small transitions as the metagame adapts to fight it. In other words, a set of Nacatls this week might become a more planeswalker-centric build another week, which might become a permission-inclusive blue-based version another week. I don’t know about you, but I’m plenty excited to discover the forms Modern’s newly-discovered Goyf clone assumes in different metagames. I have been testing the Sultai Shadow build you presented last week and its been a blast to play. Ultimately its proven harder at being able to achieve delirum than it’s Jund cousin thus being less consistent/reliable in its Traversing capabilities. Stubborn denial was impressive in dealing with the random answers people are starting to employ that are effective against Death Shadow like Chalice of the Void, top-decked Fatal Pushes, and Rest in Peaces. I felt like I had a definitive edge in the mirror matches that I played, but started running into problems against go-wide creature decks that I could not keep up with due to the lack of cheap/mass removal outside of a playset of fatal pushes (Tarfire/Pyroclasm where art thou?). The deck certainly felt powerful but perhaps at the end of the day, it is overall a worse version of Jund that like you said gets bonus points against some of the non-creature decks and the mirror. I’ve run into similar issues with Sultai and have started to run a pair of Architects of Will in the main. Architects auto-turns on delirium a lot of the time, since we’re all but guaranteed to have a land and a sorcery in the grave. But it’s a shame that it’s a creature artifact, since both of those types are respectively covered by Wraith and Bauble. It has come up for me where I am missing a land or sorcery and end up drawing Bauble, Wraith, AND Architects and still not having delirium; Tarfire is clearly better at setting up the graveyard, and it has the added benefit of helping in faster creature matchups, as you noted. I’ve benched that idea for now and am currently working on a Grixis-splash-green build that covers all the bases. So, in the Grixis list, what do you think about a small green splash (one shock, a couple of fetches) for Abrupt Decay, Ancient Grudge or any other niceties that green brings us? You’re already not worried as much as traditional Grixis Delver in preserving your life total for the burn matchup, and decay solves troublesome permanents like Chalice on one and possibly Blood Moon (although I don’t think Moon is that big of a deal). Worth it? Lately I have actually been trying a small green splash in Grixis for… Tarmogoyf! Goyf doesn’t force us to run Scour to support him, so we can play interaction instead. And Delver is a better one-drop than Nacatl. Grudge and Decay is icing on the cake. I’ll let you know how it goes. A version of Grixis Death’s Shadow just placed 9th at the SCG Modern classic in Dallas this past weekend. No Delver. It resembles the list that Michael Majors was advocating recently. I’m not sure what the infatuation with shoehorning the card Delver of Secrets into aggro-control/tempo decks in Modern is. This is not the same card in modern as it is in legacy. Without Ponder and Brainstorm, you have to run more lands and fewer instant-sorcery spells. In addition, without the aforementioned blue cantrips, you can’t flip Delver at will. Sure, there will be times where you get free wins because Delver flips turn 2, but in my experience playing against that specific card, more often than not, its a 1/1 for at least 2 or 3 turns after you play it… not exactly a good rate in Modern. Delver is actually quite good against many strategies in Modern, which are fast, fickle, and focused. The reason it hasn’t seen much success in the format since 2012 is because Abrupt Decay and the subsequent rise of BGx midrange. More recently, it has Bant Eldrazi to contend with, which out-fairs most Delver decks pretty handily while packing the dreaded Eldrazi Skyspawner. Good article. I definitely was looking forward to someone taking a crack at analyzing Overturf’s list. Do you think a list that is more all-in on making Death’s Shadow at home in Grixis by including discard spels like Thoughtseize is worth looking into? Or is blue’s countermagic more attractive? Thoughtseize is really powerful, although it lacks synergy with Delver. TS is ideal interaction for a midrange deck; Delver usually wants interaction to follow the threats. I don’t think you can play Delver and eight discard spells, but just the set of Seize seems fine since it’s a great card on its own and also covers some ground we lose by ditching Wraith (a necessity to enable Delver). Each threat has its own issues. Gnarlwood makes us more all-in on the graveyard; one of the benefits of Delver in the Grixis list is that it ignores hosers like RiP or Relic. Renegade is more conditional thanks to revolt, but its main issue is that it only clocks for 2. That’s not an impressive enough amount to warrant playing a one-drop at all IMO. Deathtouchers are better in the mid-to-late-game in creature mirrors, but I think going with either of those options takes away the benefits of playing a one-drop in this deck at all. There’s no Plains in the Wild Nacatl list. You mention the changes below, but the actual list doesn’t reflect the land changes. No thoughts on Gerry Thompson (and perhaps also Michael Majors)’s straight up Grixis Shadow? Scour, KCommand, and Serum Visions do a pretty good Traverse imitation with none of the downsides of needing to run low power cards (Bauble, Tarfire), letting you maximize efficiency instead. I think Stubborn Denial needs to be a 3 of in that build, just as in yours though. Card is fantastic in that shell. Actually, Thought Scour is the low-power set-up card this build has to run… and it costs mana! Grixis Shadow therefore seems to me like a slightly clunkier version of DSJ that’s favored in the Death’s Shadow mirror (and in grindy matchups generally) but weaker against decks that require their opponents to play proactively (most of the format). I would say it doesn’t maximize efficiency at all relative to DSJ, but does effectively attack the mirror with Snap-Push and the Push-proof delve threats. Compared with the Delver version, it has an even better time against DSJ, since it doesn’t play four threats that die to Tarfire. But I don’t like its odds against the rest of the metagame as much; having an evasive, three-power threat for one mana is really good in Modern when you can back it up with efficient disruption.